Is your scalp often itchy? Do you find flakes in your nails after scratching it? Well, that’s a warning sign. To avoid severe damage, you need to start using scalp-friendly hair care products. Ever heard of scalp scrubs? A scalp scrub is an exfoliating mask that is specially created to get rid of dead skin cells, dirt, and excess sebum from your scalp. It detoxes your scalp and unclogs the hair follicles that are filled with bacteria. It helps you get clean, fresh, and healthy-looking hair and scalp in no time. Here’s what you need to about scalp exfoliation. 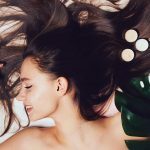 Scalp exfoliation involves applying a cream or a mask that helps remove excess oil, dandruff, product build-up, and dead skin cells from your scalp. Ideally, the cream contains solid granules that get rid of the stubborn dandruff or other impurities stuck to the roots of your hair. Scalp exfoliation is key to getting healthier and shinier hair. Don’t know how to exfoliate your scalp? We’ve got you covered! Check out the next section. Divide your hair into four sections right after you step out of the shower when your hair is wet. Apply the scrub to your scalp with your fingertips. Use a comb or a hair brush to tease your scalp. This will dislodge the dead skin cells that will then appear on your scalp in the form of flakes. If you are using a scalp exfoliation cream, massage the mixture onto your scalp gently in a circular motion. Leave it on for 5 to 10 minutes before rinsing with hot water. Finish the process by conditioning your hair to prevent damage. Now that you know how to exfoliate your scalp, check out the best scalp exfoliation scrubs you can lay your hands on. Have a dry and itchy scalp? Here’s a product that solves your scalp issues in no time. This creamy shampoo removes dead skin and impurities from your scalp. It soothes itchiness and prevents scalp irritation by restoring moisture to it. It contains natural ingredients like binchotan charcoal, coconut oil, peppermint oil, and tea tree oil that exfoliate and hydrate your scalp. Its antimicrobial properties reduce scalp infection and flakiness while promoting healthy hair. 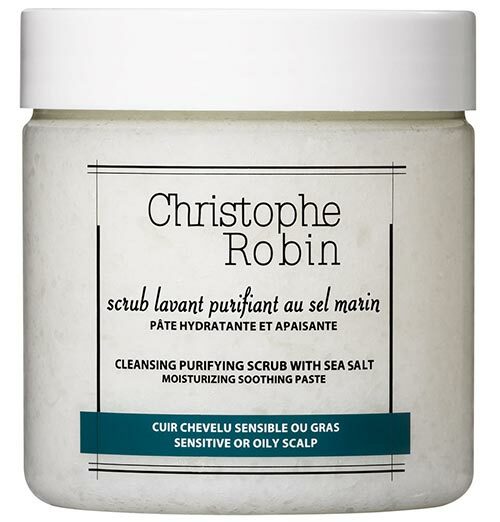 Treat your sensitive scalp with this purifying scrub that contains natural sea salt. This oceanic ingredient purifies and restores balance in sensitive and oily scalps. It refreshes and lightens your scalp by washing away all impurities. It also balances the moisture levels and keeps your hair and scalp hydrated throughout the day. This multi-award winning product detoxifies your scalp and improves its overall health. This purifying and soothing scrub exfoliates and cleanses your scalp, leaving your hair feeling clean and refreshed. It contains rare botanical extracts of aloe vera, passion flower, mango, and ginger root. These nourishing ingredients add strength and luster to your hair. This scrub softens and smoothes your hair right from the first use. This exfoliating scrub is rich in vitamins and antioxidants. This multipurpose cleanser contains high-quality natural ingredients that get rid of impurities from your scalp. It is loaded with sea salts that give it a grainy texture and help in exfoliating your scalp effectively. The nourishing oils and minerals in this scrub heal and purify your scalp and balance the moisture levels from root to tip. It clears dead skin cells and product build-up, leaving your hair scalp healthy and flake-free. 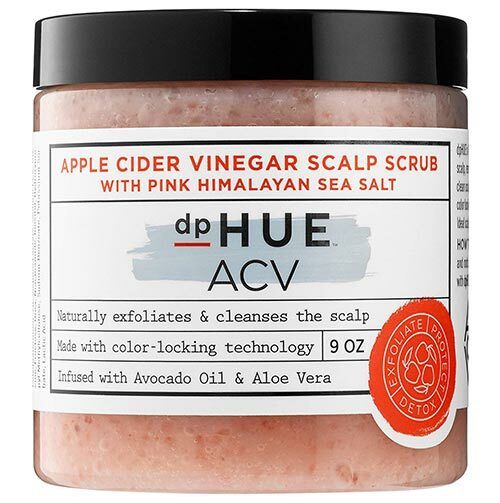 dpHUE Apple Cider Vinegar Scalp Scrub is a natural exfoliant formulated to remove dead skin cells and product build-up. It unclogs the pores and leaves you with a healthy and clean scalp. The Himalayan pink salt, aloe vera, and avocado oil in it help soothe your scalp. This organic scrub balances the pH level of your scalp, improving its overall health. It also contains color-locking technology, which helps keep your hair color intact for weeks. 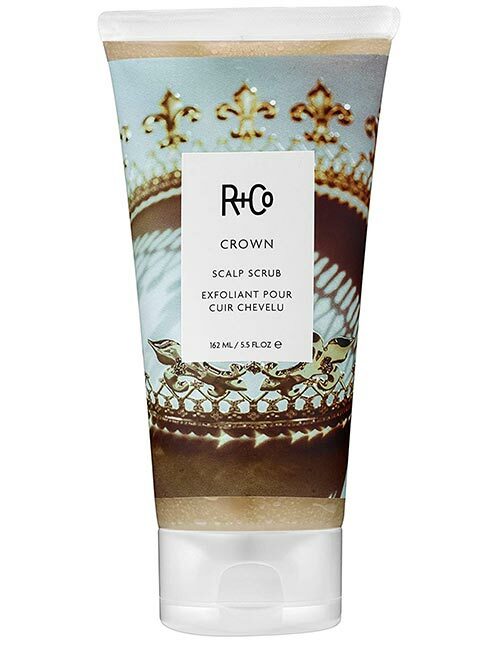 This cooling scrub is designed to eliminate impurities from your scalp. 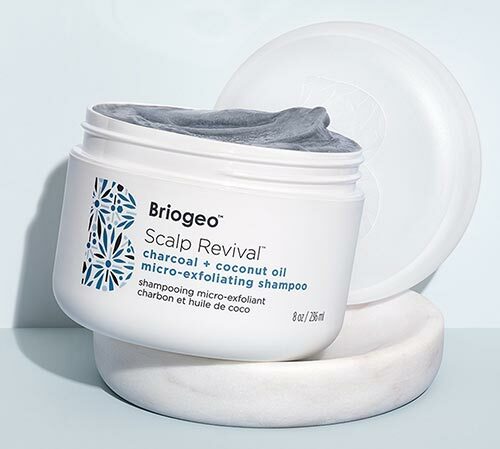 It is packed with nutrients and sea salts that gently soothe a sensitive and over-processed scalp. It contains apple cider vinegar and walnut oil that nourish your scalp to give you soft, silky, and shiny hair. It also contains peppermint oil, walnut shell powder, and silica that help maintain a clean scalp while strengthening your hair follicles. 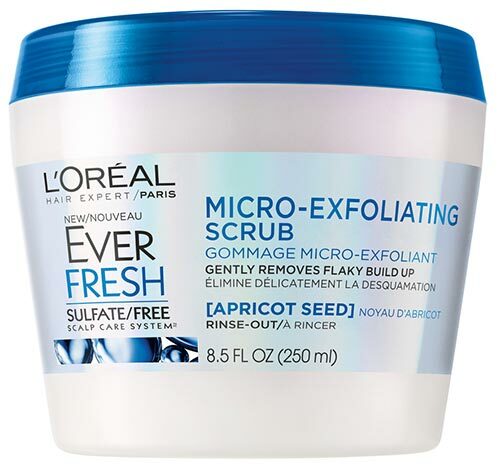 This micro-exfoliating scrub gently removes impurities, dirt, and excess oils from your scalp that weigh down your hair. It contains apricot seeds that gently exfoliate your scalp. It controls oil secretion and flakes for up to three days and leaves your hair feeling clean and refreshed. 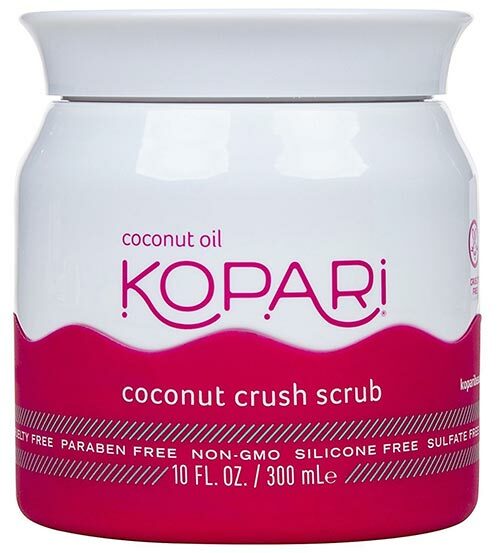 This coconut crush scrub is an excellent formula for sensitive skin. It is a multipurpose scrub that can be used both on the hair and the skin. It exfoliates your scalp to give you smoother and silkier hair. It contains pieces of Tahitian coconut shell that help in scrubbing away the dirt and impurities from your scalp. It is made with 100% organic coconut oil, coconut milk, and vitamin E that moisturize your scalp. It also contains restorative proteins and antioxidants that soothe a dry and flaky scalp. 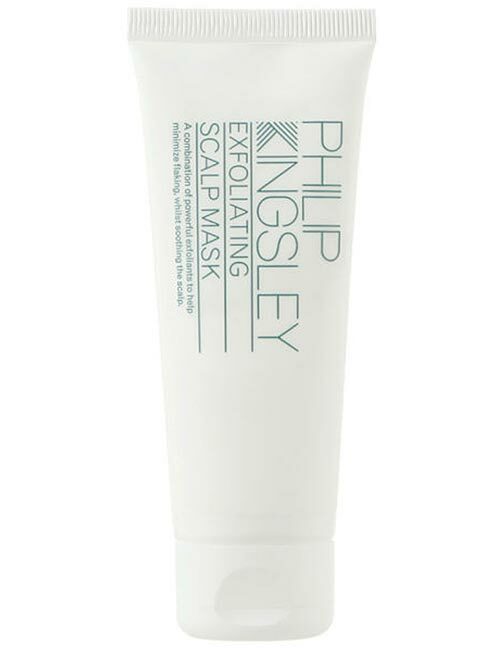 This exfoliating mask is ideal for treating dandruff. It soothes and clears your scalp of any flakes, redness, or irritation. It removes the dead skin cells, product build-up, and other impurities that are clogging your roots. It also controls sebum production to a great extent. This intense formula is suitable for all hair types. 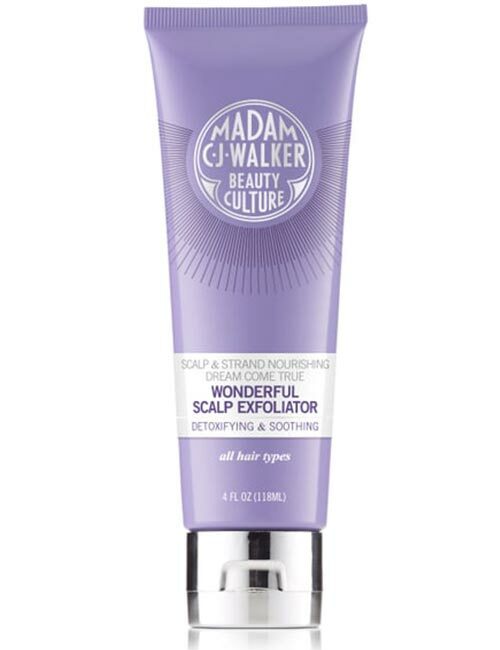 This exfoliating scalp treatment is formulated to remove build-up and flakes from your scalp. It effectively removes dirt and soothes the dryness on your scalp. It acts as a detoxifying agent that cleanses and revitalizes your scalp. It repairs your hair and strengthens your roots. It contains shea butter, olive oil, coconut oil, and salicylic acid. These ingredients add shine and softness to your hair, preventing hair breakage and split ends. Get a clean and healthy scalp by using any of these top-rated scalp scrubs. Pick your favorite product from this list and comment below to let us know about your experience! Lice Vs. Dandruff – How Do I Know If I Have Nits Or The Flakes?